Out the back gate to the fabulous sand, surf and shells of Waihi Beach. Kids love playing amongst the rocks, sand banks and logs at the adjacent 3-mile creek reserve or in the large fully fenced back yard. Enjoy views of the beach and hills from extensive north facing decks. On returning from body-surfing, boogie-boarding or beach-combing appreciate a hot outdoor shower to rinse off. 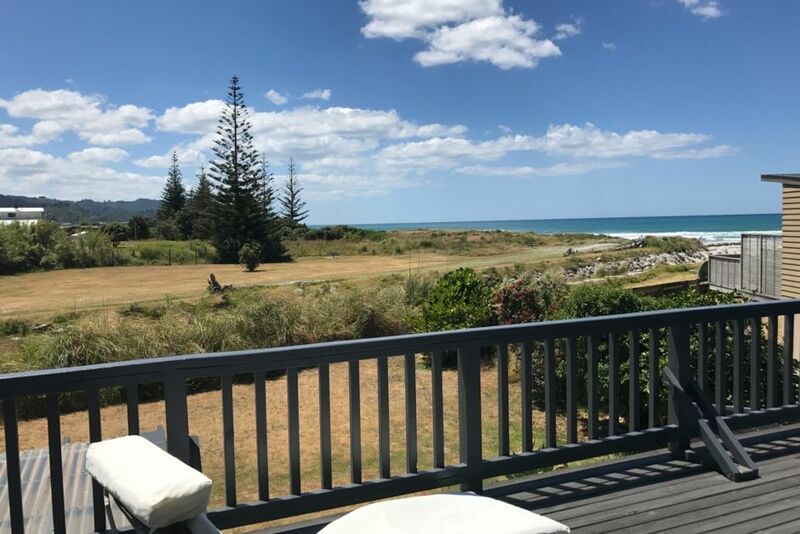 The Waihi Beach shops and cafes are an easy 10 minute stroll northwards along the beach. Continuing a further 20-30 minutes brings you to the Surf Club. The walk to Orokawa Bay over the northern headland takes approximately 35 minutes (from the Surf Club) and rewards with pristine, deserted beach. For a change of scenery a little further afield there are stunning walks in the Karangahake Gorge, or explore the gold mining town of Waihi. Enjoy a roaring fire on a winter evening. Well stocked, great location, clean and comfortable. Perfect for families property is fully fenced. Close to beach and very clean and all ready for us to relax as soon as we arrived. This was one of our most relaxing holidays we have ever had. We will be back next year. Thanks for having us. Everything you need in a beach Bach! Very relaxing stay, perfect for our family getaway. So glad you enjoyed your stay and look forward to welcoming you again next year! Great location, clean tidy and warm!